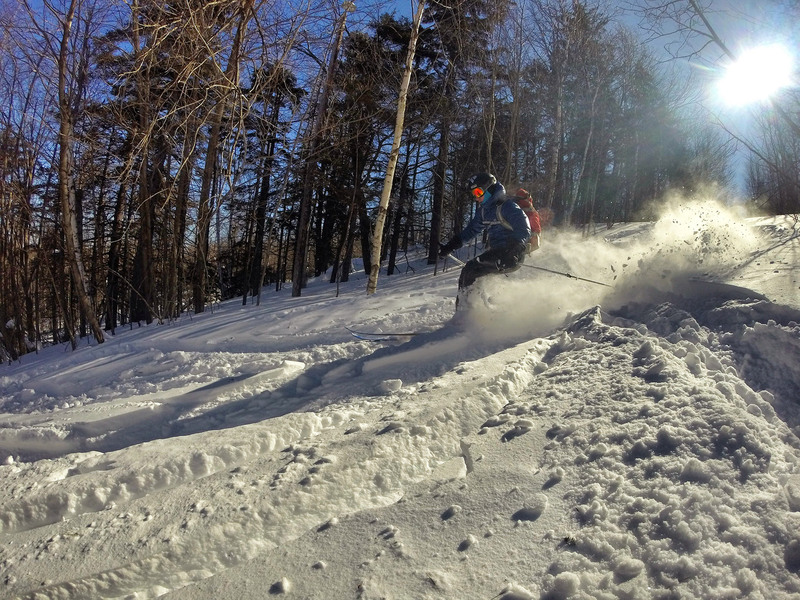 Here’s a little secret that backcountry skiers in Massachusetts have been keeping for years: Mount Watatic, in Ashby, Massachusetts, still has awesome skiing. Sure, it’s a small mountain that “officially” closed as a ski resort in the mid-1980s, but in recent years locals have revitalized the abandoned trails, turning it into a backcountry paradise for skiers and riders of all abilities. Read on for the beta of this prime destination, located less than 60 miles from Boston. Although skiing began on Mount Watatic as early as 1940 (when a rope tow was installed), the resort’s heyday ran from the mid-1960s to the early 1980s. At its peak, the resort had multiple lifts, snowmaking, a ski school, a base lodge, and night skiing. 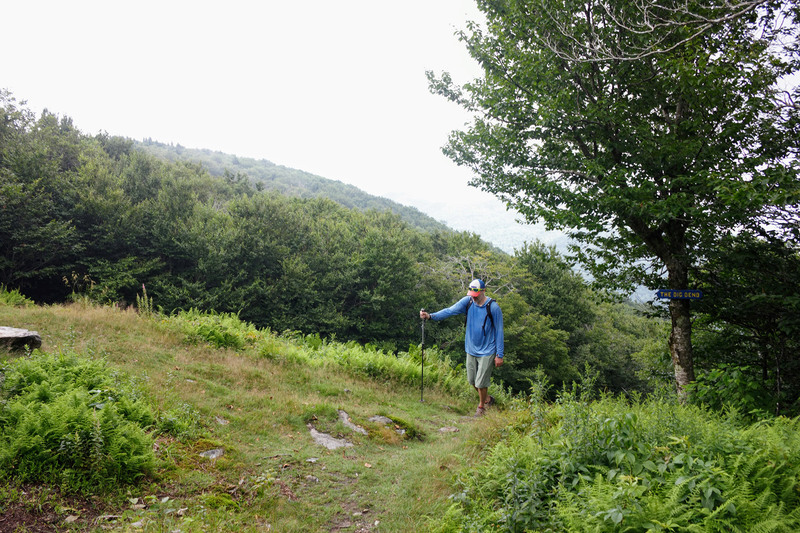 There were also six top-to-bottom trails—Spruce, Wapack, The Line, Cascade, Big Dipper, and Little Dipper—each with between 500 and 600 feet of vertical drop. Like so many smaller resorts, Mount Watatic eventually succumbed to larger, glitzier, and more convenient mountains, closing for good in 1984. Things remained quiet at Mount Watatic until the early 2000s, when a company made plans to build a cell tower on the mountain. 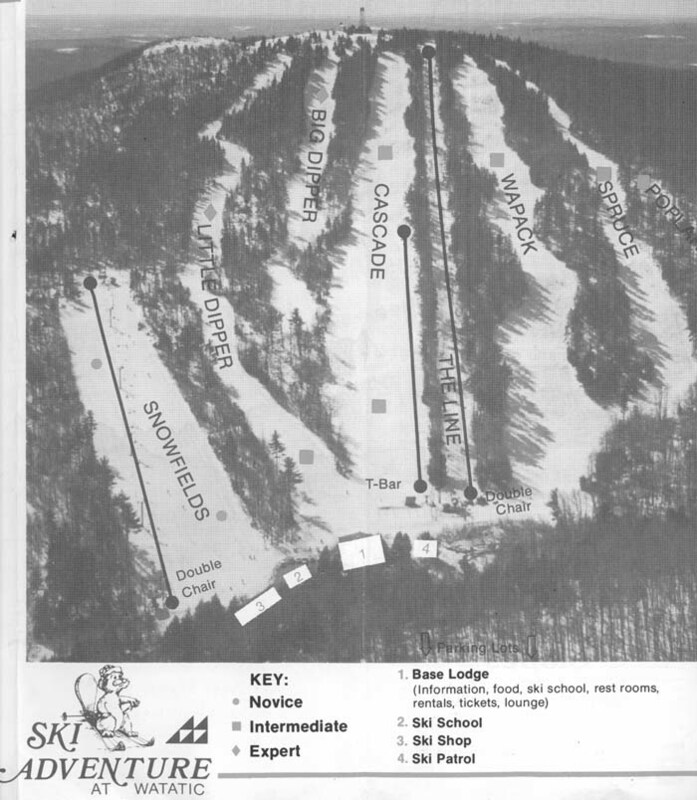 Thankfully for skiers, the tower was never built, with the land instead purchased and set aside for conservation in 2002. However, this didn’t happen until after the telecom company that planned to build the tower had blasted a road to the top of the mountain, slicing diagonally across the ski area (and the remnants of the ski trails) in the process. Whichever lot you decide to park in, “the road” is now Watatic’s most distinct landmark. It is the easiest ski descent on the mountain and it is also the unofficial uphill route for skier traffic thanks to its wide, even surface and moderate grade. The road also separates Mount Watatic into two sections, the upper mountain and the lower mountain. Although it feels strange to divide a mountain with less than a thousand feet of elevation into sections, both the upper and lower mountain have distinct characteristics. The runs on the upper half of Mount Watatic feature everything from short, steepish chutes to perfectly spaced pine glades. In line with the old ski trails, the most challenging terrain is found on skier’s right just below the summit—on top of the old ski resort’s two black diamond runs, Big Dipper and Little Dipper. 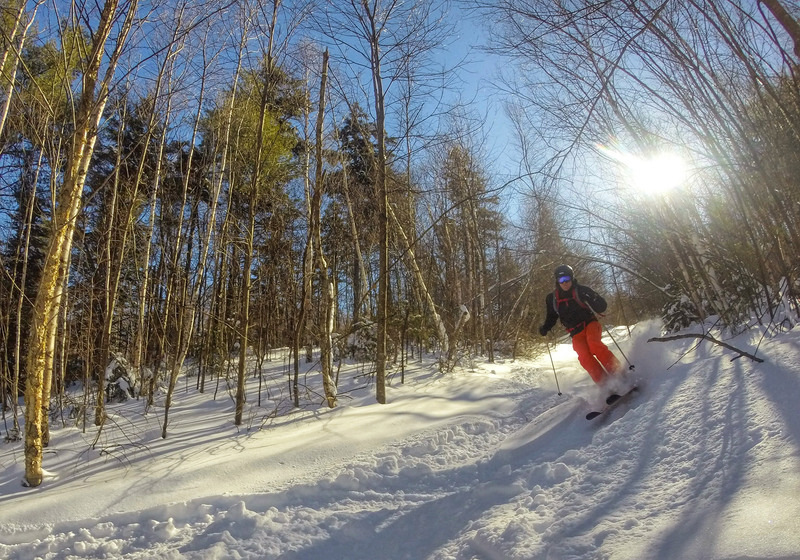 Attentive skiers should look for the awesome glade run hidden between the two; make sure to check it out on a pow day! Cascade and Thin Line drop straight down the center of the upper mountain. 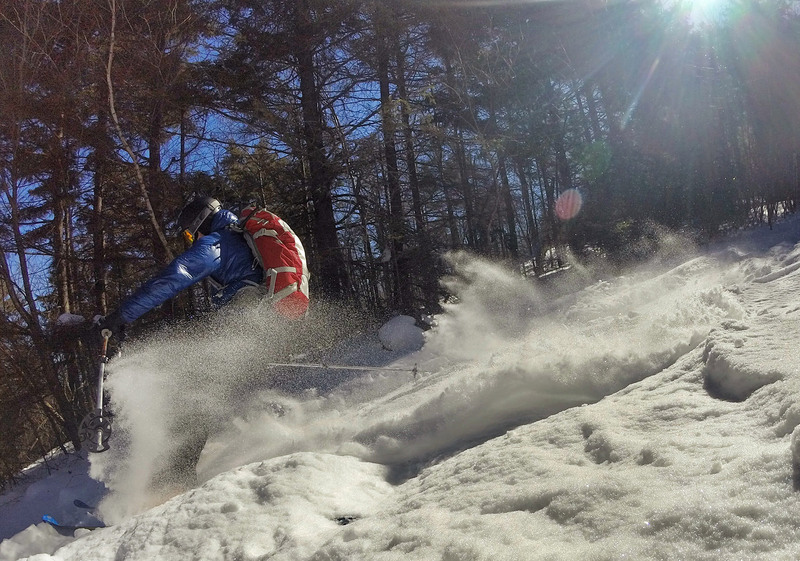 Their starts are easy to find and both lead to tight runs that are lots of fun in good snow conditions. Of the two, Cascade is better maintained and, in most conditions, a little wider and easier. The remnants of the trails on skier’s left are a little harder to find; the upper portions of the road have subsumed a good part of the upper section of Wapack, while the start of Spruce is overgrown and partially hidden. However, spending the time to find the start of Spruce—you’ll essentially ski down a short section of the hiking trail to find it—is well worth it, as it’s a tight, fun run that flows uninterrupted to the base area. Because these runs are not formally maintained, conditions can vary from totally clear to shwacky depending on factors like skier traffic and snowfall. Be sure to also pay attention to your turns as these trails intersect the road separating the upper and lower mountain; the terrain here is sometimes tricky, as the road builders put little thought into preserving the ski trails. 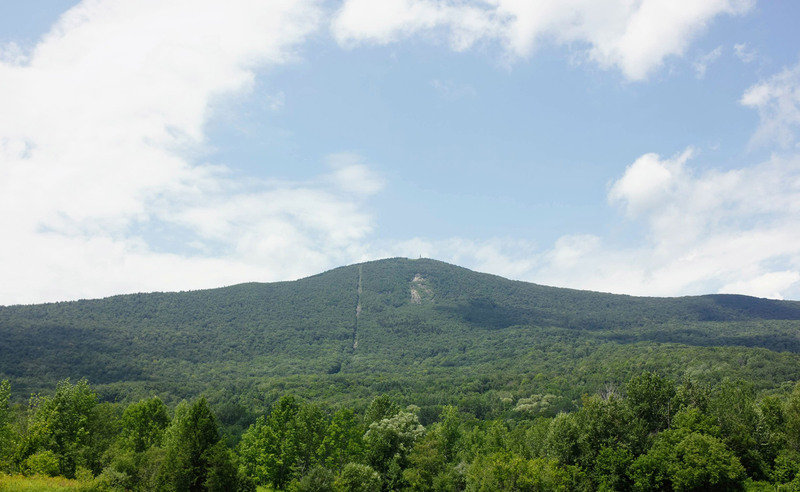 The lower mountain’s three distinct runs (Wapack, Cascade, and Little Dipper) remain in their historic locations. They are easy to find from the road and tend to be more open and lower angle than the upper mountain trails, making them perfect for newer backcountry skiers and a pleasant reprieve from dodging trees (and the occasional rock) up top. Moreover, frequently windy conditions near the top of the mountain can often leave it scoured, but great snow can be found down low with powder pockets deposited generously across Watatic’s lower slopes. The first trail that skiers descending the road see is Wapack. Dropping off the road just after it makes a sharp bend, Wapack is a tight chute, with interspersed mini-glades, that runs to the base area. It is the longest and most challenging of the lower three runs. The drop in for Cascade is a short distance further down, just before the one steep section on the road. Although once fairly tight due to regrowth, Cascade was, and is again, the widest run on the mountain and offers fun skiing on moderate terrain. At the bottom of the road’s decline, skiers can take a sharp left onto Little Dipper. Although not as wide as Cascade, it is the lowest angle of the three runs and is pleasant, easy skiing, especially near the bottom. All of the lower slope’s runs deposit into a large open area at the base of Mount Watatic, which makes it easy to regroup between laps. This area also gets a considerable amount of sun, allowing for comfortable conditions to refuel and transition between downhill and uphill skiing. Have you skied Mount Watic either under your own power or when it was still operational? If so, tell us about your experience in the comments below! For Bostonians, there’s no need to travel far this fall to find the foliage. In fact, whether you’re looking to hike, climb, mountain bike, or paddle, the Greater Boston area has something to satisfy everybody’s cravings for yellows, oranges, and reds. To begin, start with these five great activities, all within an hour of the city, for a quintessentially fall experience. 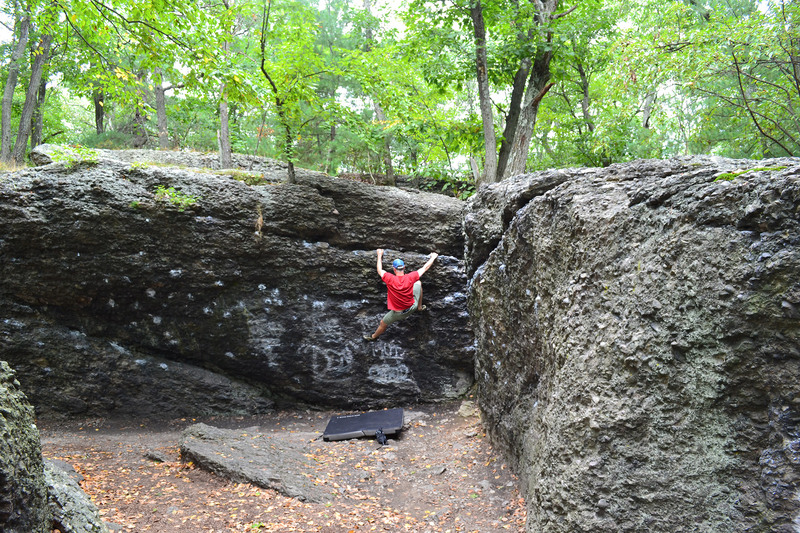 It’s strange to find great bouldering, much less an idyllic fall getaway, behind a mall. But, somehow, Hammond Pond pulls it off. Tucked behind The Shops at Chestnut Hill, just minutes outside of Boston, the puddingstone walls, the pond’s gentle waves, and the rustling of hardwood leaves as they fall to the ground—and the occasional grunt of a boulderer working a problem—combine to make you forget just how close you actually are to civilization. In addition to the wonderful setting, the season’s cool temperatures are perfect for climbing classic Hammond Pond boulder problems, such as Hammond Eggs (V1), Breakfast of Champions (V3), and Hermit Cave (V4). You’ll find the highest consistency and most classic problems in an area called the Alcove, a steep semi-circle of Roxbury Puddingstone. This type of conglomerate rock resembles pebbles thrown into a still-wet concrete wall and is only found in the Greater Boston area. The Alcove’s orientation protects climbers from cool autumn winds, while the rock receives a lot of sun, keeping it pleasant even on the crispest fall days. Linking a combination of cobbles and cracks, the Alcove’s most difficult problems are found in the middle of the wall, where the angle is the steepest. The easier problems, meanwhile, are located along the outsides, which are angled more vertically. Because of the Alcove’s short height and limited amount of rock, however, make sure to check out traverses that increase the challenge and volume of climbing. Boulderers beware: Many of the problems here were established decades ago. Thus, given the close proximity to Boston, they possess an ego-deflating blend of old-school grading and slick holds. Tucked just down the road from Quincy Quarries’ graffitied walls, Rattlesnake Rocks is a classic destination for fall foliage. 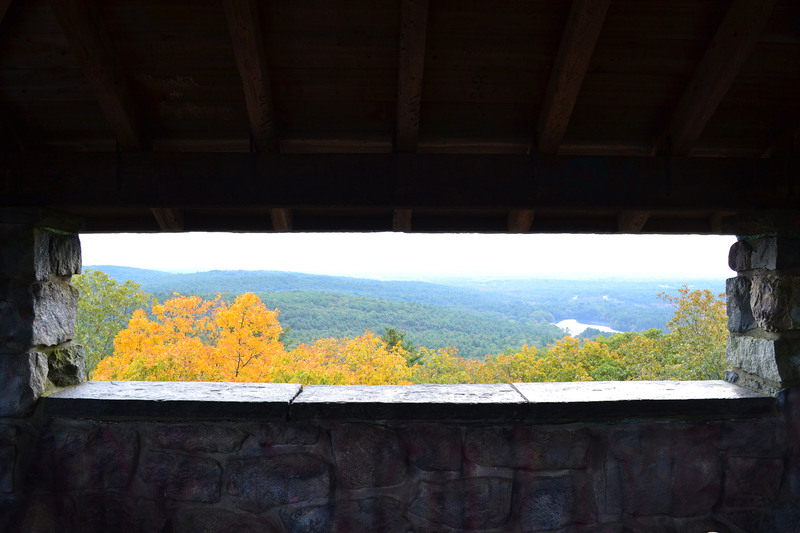 Rather than the Quarries’ vibrantly colored walls, however, the forest surrounding Rattlesnake Rocks delivers a canopy of gold, auburn, and crimson, while cool autumn temperatures ensure the area’s short, coarse granite walls are at their best. Consisting of smaller crags spread out over a cliffline, Rattlesnake is much quieter than its multi-use neighbor, giving you some freedom to make the most of your “Rocktober.” And, while moving from crag to crag may be an inconvenience, the autumn-hued forest is made for ambling amongst Rattlesnake Rocks’ various walls and routes. 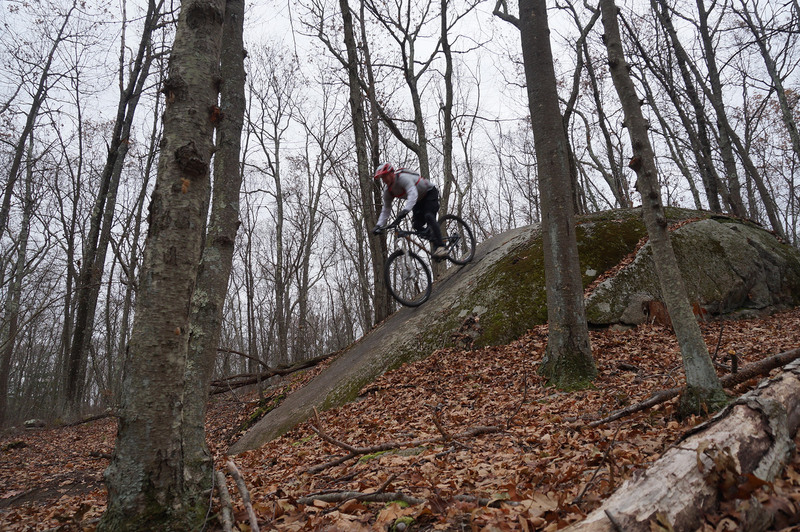 For Boston-area mountain bikers who prefer to race through colorful fall forests rather than idly admire them, Vietnam—located in Milford, roughly an hour outside the city—is an ideal outing. Infamous in the mountain biking community, Vietnam holds the distinction of being the first land purchased by a bike association. 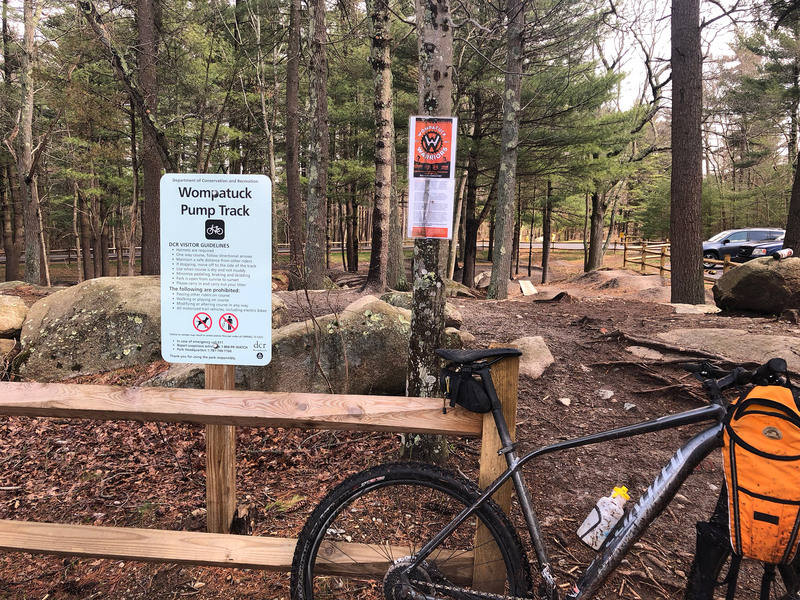 The New England Mountain Bike Association, or NEMBA, bought a 47-acre parcel to protect it in 2003, and today, it contains notorious singletrack, drops, and jumps. Even better, NEMBA’s parcel connects with other conservation land in Milford, Hopkinton, and Holliston to create an approximately 800-acre area. Legendary for its technical riding, Vietnam’s trails are best known for their rock gardens and steep rollers, as well as their natural and manmade drops and jumps. Fall is the perfect time for a trip to Vietnam. Its often-soggy, low-lying areas are finally dry, and brisk temperatures enhance traction on the area’s steepest lines. While the forest’s changing colors and the rustling of leaves under tires can produce a meditative calm, don’t let your guard down too much. Fallen leaves add another challenge to Vietnam’s already-taxing trails, as they may hide in-trail obstacles. Hikers in Greater Boston anxious to explore brilliantly tinted fall forests need look no further than the Blue Hills Reservation. Just a short drive from the city, the Blue Hills deliver the perfect place for hiking, as the area’s rocky and once-lush prominences transform from dense grays and greens into a cornucopia of yellow, orange, and red shades. Although the Blue Hills might not have the elevation found among its northern neighbors—the highest point, Great Blue Hill, stands at just 635 feet tall—the area boasts an impressive 125 miles of hiking trails and 22 named hills. All and all, it’s more than enough to keep even the most enthusiastic fall hikers busy. Proving you needn’t drive north, the various high points offer incredible views of everything from Boston’s skyline to the Atlantic Ocean. Of course, New England’s iconic fall foliage makes these views even more spectacular. Hikers looking to get a quick foliage fix should head for the summit of Great Blue Hill, a roughly mile-long round-trip hike. On the summit, climb the Eliot Tower for an unrivaled view of the city’s skyline and Boston Harbor. 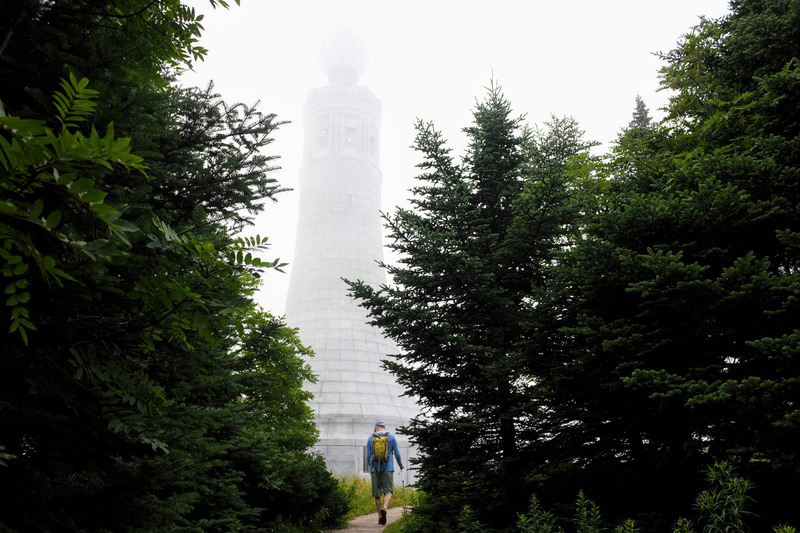 On a clear day, hikers can see as far as New Hampshire’s Mount Monadnock. So, take a minute to reflect on the leaf-peeping madness (and heavy traffic) you’re missing out on by staying close to home. Or, have a picnic on the open summit, or continue touring the park’s expansive network of trails. For taking in the foliage around Boston, don’t restrict yourself to land. Another option, the Charles River delivers a different perspective for viewing the season’s leafy spectacle. Whether from the comfort of a kayak or balanced on top of an SUP, you’ll find the river’s calm waters offer a multitude of trip options for leaf-peeping. Along with the awe-inspiring autumn colors, expect to encounter everything from old forests to city skylines, as the Charles snakes from Hopkinton to the Atlantic Ocean. With ample put-ins and numerous places to stop for a picnic or to merely enjoy the scenery, the Charles River has an adventure for every level. And, while an out-and-back trip requires the least amount of logistics, it’s easy to stage a shuttle for a one-way trip with a little planning. What’s even better than lazily floating on the calm waters to soak up New England’s stunning fall sights? Through the russet-colored forest, the occasional rumble of the highway lets you know others are fighting their way out of, or back into, the city to look for something you’ve already found. Do you have a favorite fall trip around Boston? If so, we want to hear about it! Leave your favorite Boston-area fall trips in the comments. Big news! 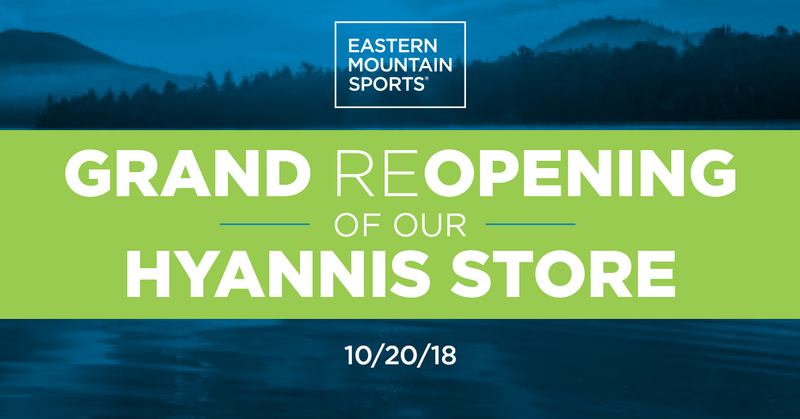 Eastern Mountain Sports is reopening its Hyannis, Mass., store, so outdoor enthusiasts on the Cape can be equipped with the right gear for all sorts of coastal adventures. To celebrate, we asked the employee experts at the new Hyannis location about their favorite local spots. So, to plan your next trip, start with their recommendations, and swing through the new shop for all the gear you need and even more expert beta! 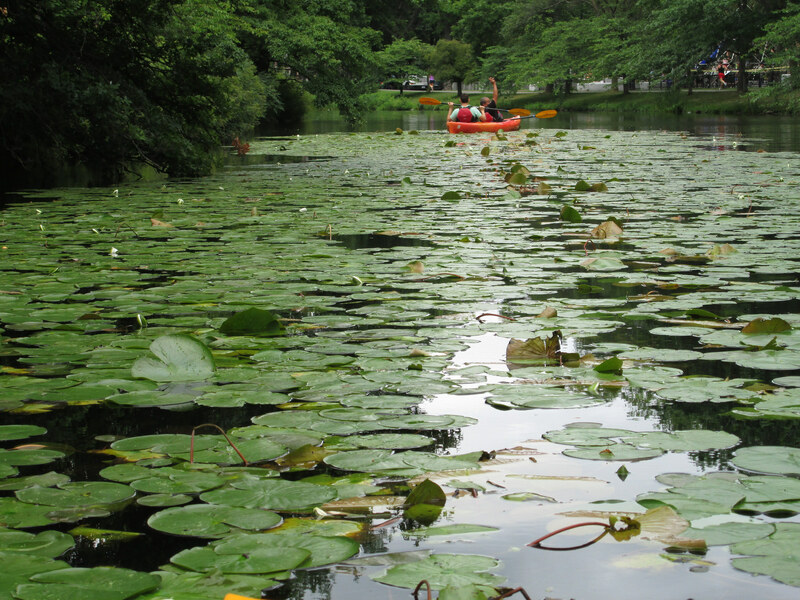 Hathaway Pond is a small, 20-acre natural kettle hole pond, perfect for paddling around and looking down into the depths. Visibility is excellent, extending to 23 feet. The bottom is composed of rubble and sand, and is also a hot spot for local scuba divers. For those interested in staying dry, an easy walking trail roughly one-mile long loops around the whole pond, and it’s great for families and dogs. Pro tip: Next summer, it will be the location of the shop’s demo days! Another local favorite is The Trail of Tears, a 1,200-acre parcel of conservation land in the village of West Barnstable. 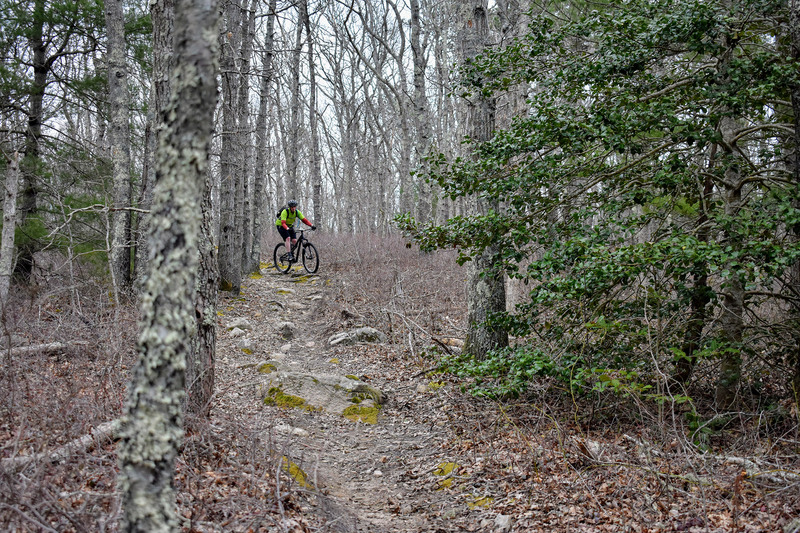 As one of Cape Cod’s treasures and a prime bike riding area, it’s a hot spot for mountain biking, hiking, trail running, and cross-country skiing. Nickerson State Park is a state-owned, public recreation area of more than 1,900 acres in Brewster, Mass. The sandy soil and scrub pines surround many kettle ponds, the largest of which are Cliff, Flax, Little Cliff, and Higgins Ponds. Ruth, Keeler’s, Eel, and Triangle Ponds provide additional water habitats. This is a great, fun place for people to go in the summer and off-season! We love the easy access to water, hiking, and camping. It’s also amazing in the winter for snowshoeing and cross-country skiing. A hub for kayakers who love the shallow bay for its scenery and wildlife, Washburn Island and Waquoit Bay National Estuarine Research Reserve is a coastal playground. Paddlers can also camp on Washburn Island, a rare untouched tract of land on the Cape. Here, you’ll find hiking trails weaving through oak and pine, as well as beaches and salty ponds. As a note, paddling from the inner harbor takes a couple of hours, and for camping, make reservations in advance. Do you have another favorite Cape Cod adventure? By now, you’ve probably heard the news. On June 4th, Alex Honnold and Tommy Caldwell broke the speed record on The Nose of El Capitan in Yosemite National Park. Then, the very next day, the duo returned and broke their day-old record, taking their time under the two-hour mark (1:58:07). Although the Northeast isn’t known for its speed climbing, it is home to numerous speed records involving the region’s mountainous terrain. With the Guinness Book on our minds, here’s a snapshot of some of the Northeast’s most-coveted FKTs (fastest-known times). Editor’s Note: Records are current as of July 22, 2018. 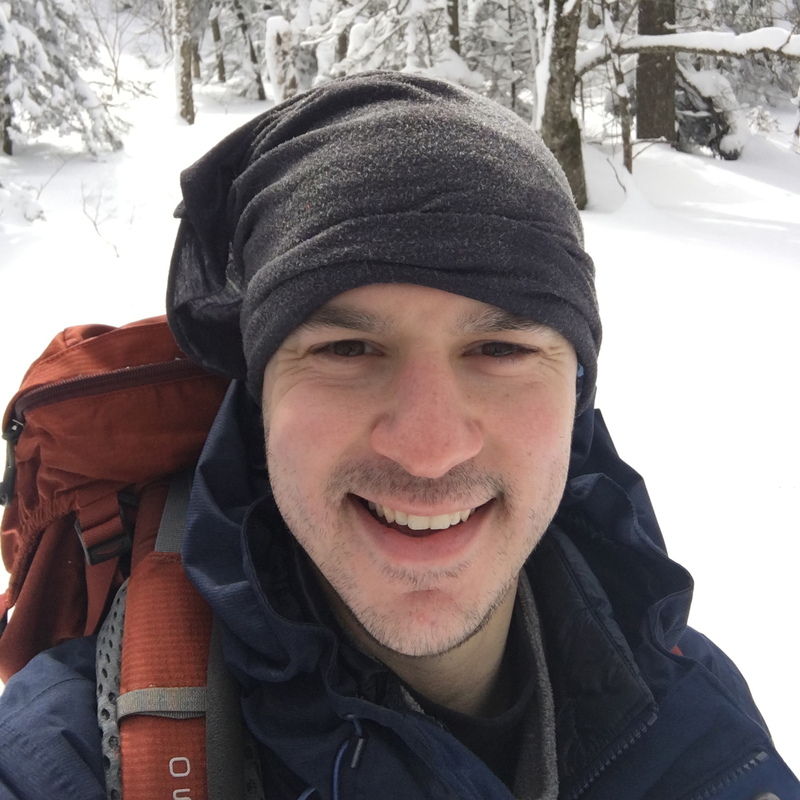 For many New England hikers, summiting all of New Hampshire’s 48 mountains over 4,000-feet tall is the culmination of a lifetime goal. For others, like Andrew Thompson, owner of the fastest-known time on the NH48, it’s a good long weekend. It took him just three days, 14 hours, and 59 minutes—an incredibly fast time to cover the roughly 200 miles and 66,000 feet of vertical gain! 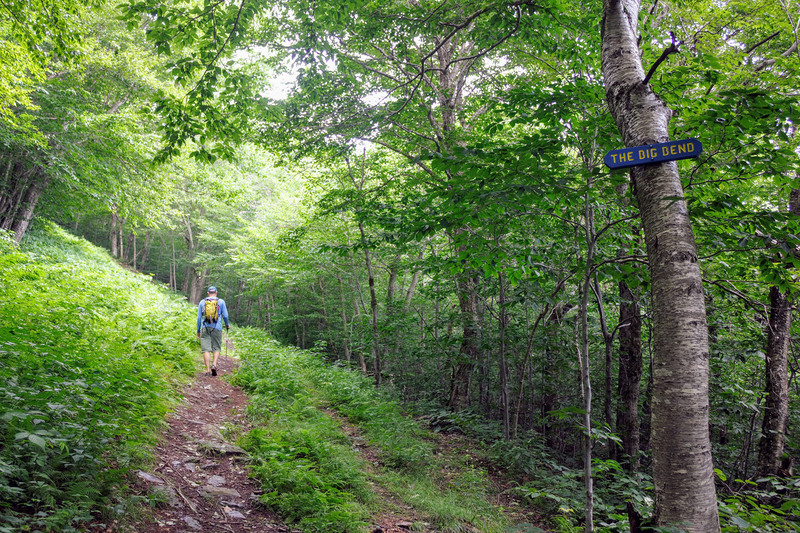 The ADK46ers list shows that over 10,000 people have summited the region’s 46 High Peaks. In fact, the first known record dates back to the 1920s. That being said, none have done it faster than Jan Wellford. In June 2008, he picked them off in a staggeringly speedy time of three days, 17 hours, and 14 minutes. Although the Catskills might not have as many peaks over 4,000 feet, achieving the fastest-known time for summiting its high peaks—35 summits over 3,500 feet in elevation—is uniquely challenging. Unlike with the NH48 and ADK46, this sought-after FKT takes a single route through the Catskills, with no car shuttling between trailheads. Approximately 140 miles long, with around 38,500 feet of vertical ascent, the route covers roughly 80 miles of trail, 40 miles of bushwhacking, and 20 miles of pavement-pounding. Amazingly, in May 2018, Mike Siudy blazed it all in a breathtakingly breakneck time of two days, nine hours, and 16 minutes. 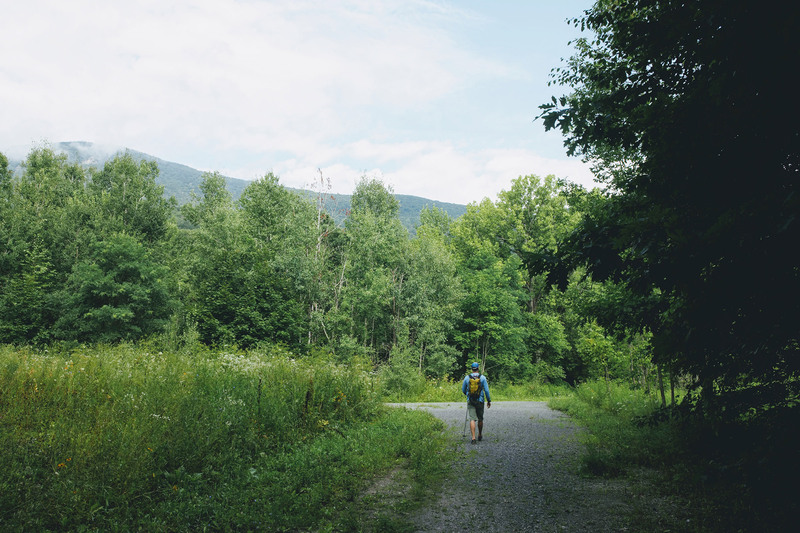 For most backpackers, a trip along Vermont’s Long Trail is a three- to four-week endeavor. For fastest-known time-holder Jonathan Basham, it’s a good way to spend a week off, as it leaves a few days free to explore Burlington or take the Ben & Jerry’s Factory tour. Basham covered the 273 miles from the Canadian border to Massachusetts in an astoundingly fast four days, 12 hours, and 46 minutes in September 2009. A hike across the White Mountains’ Presidential Range, the iconic Presidential Traverse is a bucket-list trip for many Northeastern hikers. For others, like FKT holder Ben Thompson, this classic route is something to do before lunch. Ben blazed across the Presidential Traverse’s 18-plus miles and almost 9,000 feet of vertical gain in four hours, 14 minutes, and 59 seconds. 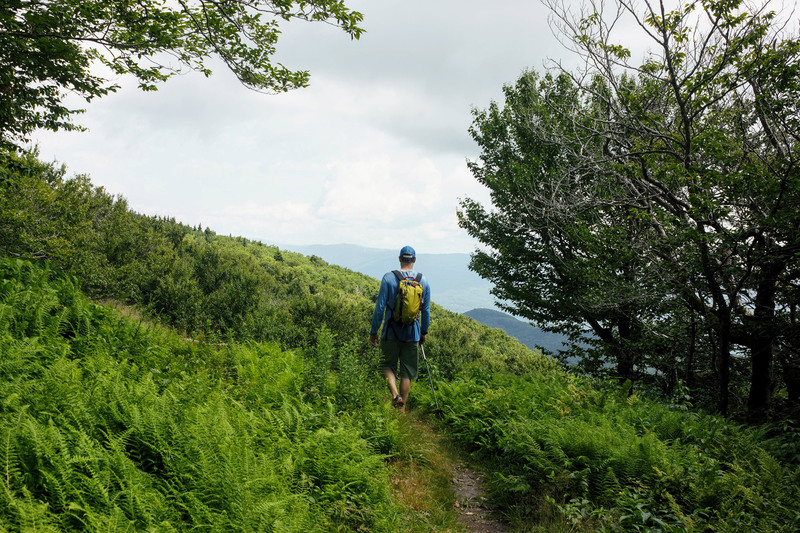 The Whites are also home to another highly coveted route, the Pemigewasset Loop, or simply the Pemi Loop—one of the region’s most popular backpacking trips. The record holders have finished in time to make happy hour at the Woodstock Inn, Station & Brewery. FKT competitors can choose to do the route—more than 30 miles and over 9,000 feet of elevation gain—in either direction. This is one of the most competitive records in the White Mountains, and impressively, Presidential Traverse record holder Ben Thompson also owns this one. He completed it with a zippy time of six hours, six minutes, and 53 seconds in September 2017. 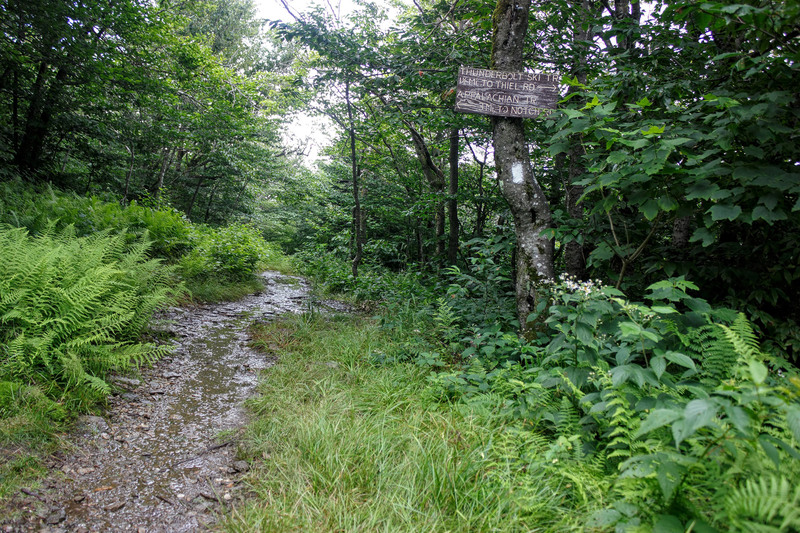 Perhaps the most competitive speed record is the iconic Appalachian Trail (AT), the renowned footpath that starts at Springer Mountain in Georgia and ends at Maine’s Mount Katahdin. In recent years, some of the world’s most well-known ultra runners—such as seven-time Western States winner Scott Jurek and five-time Hardrock winner Karl Meltzer—have held the FKT on this roughly 2,200-mile trail. Currently, though, Joe “Stringbean” McConaughy holds the record. Self-supported, he cruised its full length in just 45 days, 12 hours, and 15 minutes. Coincidentally, McConaughy also holds the FKT on the Pacific Crest Trail—the AT’s West Coast cousin. However, his bicoastal record might not last long. Currently, Cincinnati teacher Harvey Lewis is putting in a strong effort to beat Stringbean’s AT time. 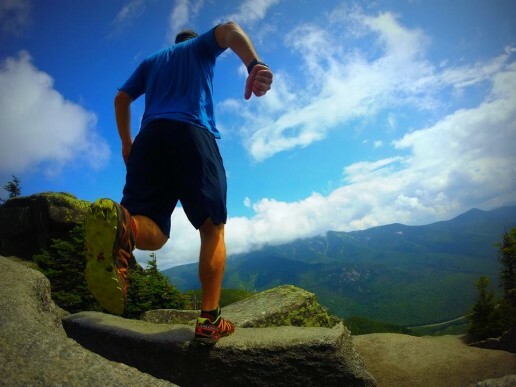 Just outside Boston, the Blue Hills’ Skyline Trail is a worthy goal for time-crunched runners and hikers. Roughly 15 miles out and back with over 3,500 feet of elevation gain, its challenges are on par with the region’s larger ranges. Fastest-known time-holder Ben Nephew—a Top 5 holder on many of the region’s other classic routes—rapidly dispatched this one in two hours, 25 minutes, and 44 seconds—fast enough to do it before work. Another awesome out-and-back goes up and over Cadillac Mountain’s iconic North Ridge and South Ridge Trails. This 12-mile trip climbs almost 3,000 vertical feet along Maine’s rocky shoreline and affords incredible ocean views. Fastest-known time holder Tony Dalisio completed the route in one hour, 48 minutes, and 44 seconds. He partially attributes his tremendously fast time to doing the trip in April, thus avoiding tourists, the route’s biggest obstacle. It only makes sense that the second-most hiked mountain in the world—Mount Monadnock—would have some seriously fast ascents. What is shocking is how long the speed record up the mountain’s most popular trail—White Dot—has stood. Since 2001, Elijah Barrett has held the fastest-known time, having made it to the summit in 24 minutes and 44 seconds. Of course, we’ve listed just some of the better-known objectives and their record-setting times. To learn more about the records in your region, the Fastest Known Time website is a great resource. And, if you’re planning on doing one of these routes this summer, we want to hear about it—even if it isn’t record setting. So, tell us about your trip in the comments. Using state funding, the University of Massachusetts Amherst plans to help state residents test ticks they’ve found at a reduced rate. Since 2006, the school’s Laboratory of Medical Zoology (LMZ) has tested ticks from all 50 states for various transmittable illnesses and pathogens. Anyone concerned they’ve been bitten can mail the parasite in question to the UMass lab, have it tested, and get the results back within three business days. Normal pricing ranges from $50 for a baseline DNA analysis of one tick to a $200 comprehensive package, which includes screening for 23 tick-borne illnesses. But, thanks to the state Department of Public Health’s $100,000 grant, the LMZ will do the testing for just $15 per critter. That rate won’t last, though. “We anticipate that this program will be over by early to mid-July. The subsidy is really going to go fast,” said Stephen Rich, a professor of microbiology and LMZ director, in a statement. Are ticks getting more dangerous? The grant comes on the heels of a recent Centers for Disease Control and Prevention study. From 2004 through 2016, researchers reported a 300-percent uptick in mosquito, tick, and flea bite-related illnesses. The analysis found the number of reported tick-borne diseases doubled during that 13-year period. That figure also makes up more than 60 percent of all mosquito-, tick-, and flea-related illnesses. Since the UMass laboratory launched its TickReport testing program and database, researchers have analyzed more than 37,000 ticks, including over 12,400 in 2017. The LMZ expects to test between 18,000 and 20,000 for 2018. Of the 23 diseases tested, Lyme disease comes out on top. Since 2006, 26.5 percent of all ticks screened have tested positive. The illness, spread by blacklegged ticks, causes someone to experience a combination of fever, headaches, fatigue, and a skin rash. If left untreated, it eventually spreads to the joints, heart, and nervous system. But, Lyme disease is just one condition spread to humans. The LMZ also tests for anaplasmosis, babesiosis, and the lesser-known Powassan virus. Out of these four, Powassan is particularly rare. In fact, the CDC has recorded about 100 cases over the past 10 years. Yet, the disease may cause a combination of fever, vomiting, confusion, seizures, and memory loss, and may even lead to long-term neurologic problems. Meanwhile, the LMZ plans to use half of the grant to cover the cost of Powassan virus testing on the first 1,000 ticks sent. Of course, it’s important to note: Not all ticks transmit diseases. The type, time of year it’s found, and region all influence whether one poses a health risk. As for the blacklegged ticks (also known as deer ticks) commonly found in the Northeast, the CDC says they typically need to be attached for 36 to 48 hours or longer before spreading Lyme disease. With this in mind, always thoroughly check your skin and clothing after outings in the woods. What if you find a tick on your body? The LMZ advises removing it with a pair of tweezers, and washing the area with soap or antiseptic wipes. Then, mail the tick to the lab in a Ziploc bag. With ropes hung, routes marked, and a trained staff on hand to ensure safety, the rock gym is a great place to learn how to climb. But, pulling on plastic just isn’t the same as climbing on real rock, and many climbers eventually look to expand their horizons to local crags. If you’re considering taking your climbing outside this year but aren’t quite sure where to start, here are some things you need to know. Bouldering and top-roping are the main options for most new-to-the-outdoors climbers. Both styles involve some common gear, namely shoes and chalk, but also require some items specific to the activity. Thus, deciding on a style is an important initial step. Bouldering is a popular way for gym climbers to transition outdoors, because it doesn’t require knowledge about anchor building or belaying. When bouldering, climbers use a crash pad, rather than a rope, to protect themselves when they fall. Bouldering crash pads come in a variety of sizes and styles, and it’s not uncommon to use multiple ones to protect your climb. Although bouldering requires less technical knowledge, the physical climbing encountered is often more difficult than what’s found on top-rope routes. Climbers who have been top-roping in the gym can replicate that experience outside if they know how to build anchors and have the gear required to do so. The specific gear will vary between locations, but a static line, a few slings, a cordelette, and a handful of locking carabiners—larger carabiners like the Black Diamond RockLock Screwgate are great—will usually do the trick at areas with first-timer friendly setups. In addition to anchor-building gear, invest in a belay device, your own climbing rope, and a harness, if you’ve been relying on a gym rental. Top-ropers should also add a helmet to their kit, as time spent below a cliff exposes you to the threat of something being knocked down on you. Some climbers who lead in the gym may also want to take the sharp end their first time climbing outside. 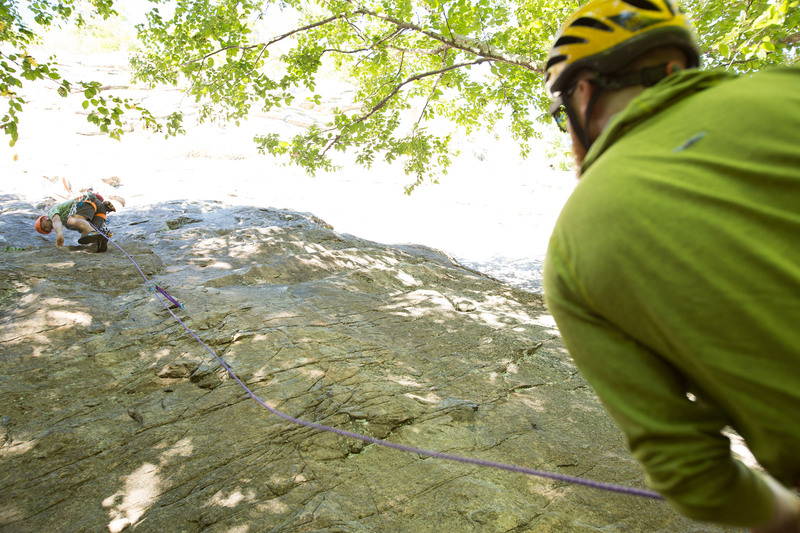 For those looking to jump right into sport climbing, check out our sport climbing gear list. Doing some research before picking a destination saves a lot of time and aggravation. For example, does the area you’re planning on visiting have fixed anchors, or will you have to build your own? Guidebooks are a valuable resource for learning about what to expect at a climbing area, and offer up information on everything from where to park to what gear to bring. Although guidebooks are helpful, an internet search lets you broaden your knowledge of an area and get up-to-date information about access and conditions. Pro Tip: If it’s your first time out, avoid routes that the guidebook says require trad gear (camming units and nuts) for building the top-rope anchor. Choosing the right location for your first time climbing outside can make the difference between success and frustration. Boulderers will want to find spots with a wide variety of problems and safe landings. 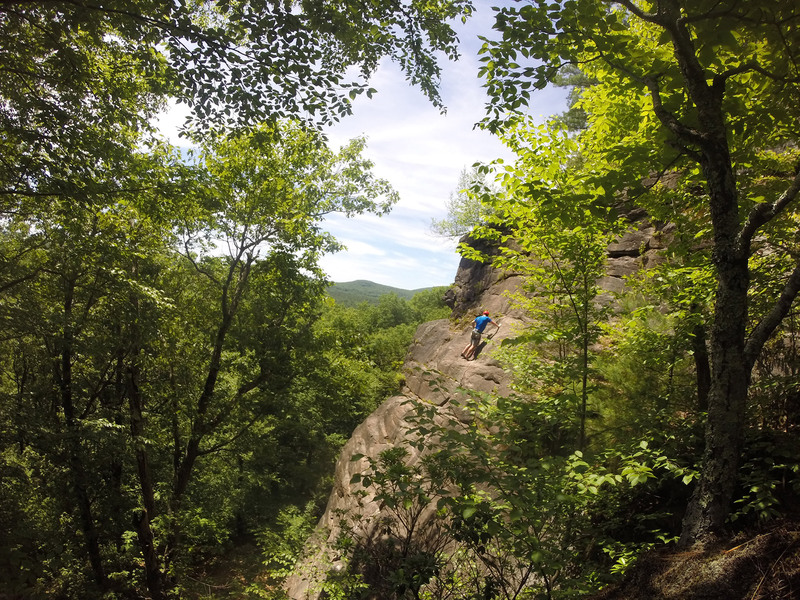 A few popular destinations for newer boulderers in the Northeast are Hammond Pond, just outside of Boston, Massachusetts; Lincoln Woods, a short drive from Providence, Rhode Island; and Pawtuckaway State Park, about 30 minutes from Manchester, New Hampshire. Fellow gym climbers can also be a great resource, so don’t hesitate to ask around the gym’s bouldering cave about nearby areas to visit. 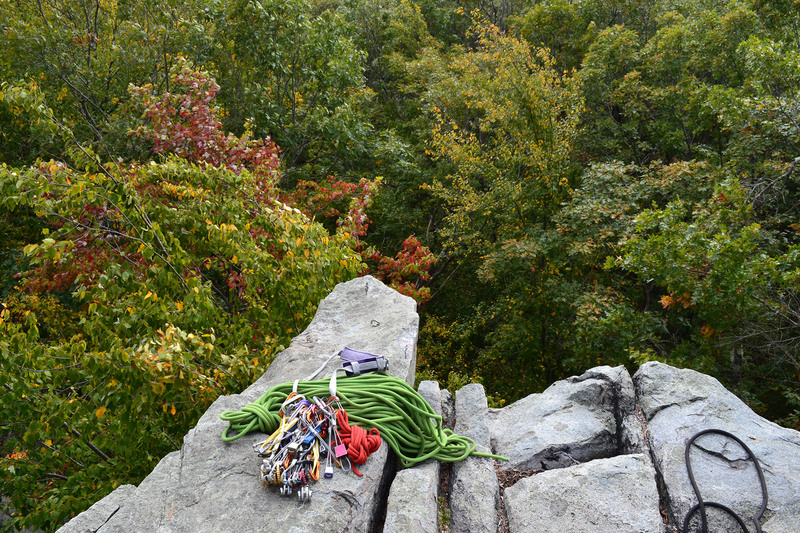 New outdoor climbers looking to top-rope should seek out sites with easy setups. Ideally, the location will have a diverse grouping of climbs, easy access to the cliff top, and simple anchoring solutions. 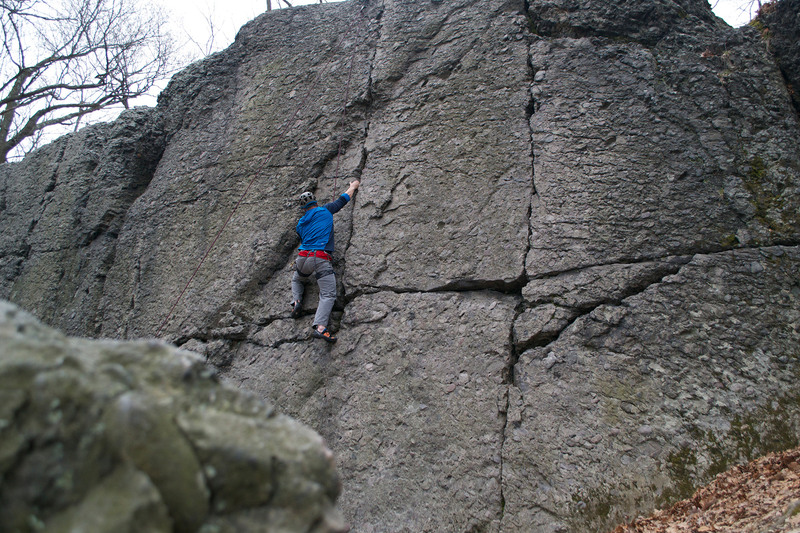 Greater Boston has a plethora of excellent crags for first-time top-ropers, including Hammond Pond, Quincy Quarries, Rattlesnake Rocks, College Rock, and Crow Hill. So, too, does Connecticut, with Ragged Mountain being a popular destination. Pro Tip: A 75- to 100-foot static line is a great solution for when the guidebook recommends bringing “long slings” for top-rope anchors. No matter if you’re bouldering or top-roping, a good climbing partner is critical. Although bouldering can be a solitary sport, it’s much easier and safer (and more fun!) with a partner. A good bouldering partner spots you when you fall and moves the pads underneath you as you climb. They also are great for helping you decipher moves and keeping the stoke high. A top-roping partner is essential, as they will literally be holding your life in their hands while belaying. In a perfect world, a new outdoor climber’s partner will have more experience and can serve as a mentor through the transition. Although gym and outdoor climbing have many similarities, the transition may be challenging. For instance, the grades are harder. So, even if you’ve sent all the “hard stuff” indoors, don’t plan on crushing your first day on real rock. You’ll also need to re-train the way you think. Outdoors, the routes aren’t marked with brightly colored tape and may be difficult to follow. In addition, real rock holds may be hidden and may be greatly different from what you’ve encountered at the gym. Along with these points, indoor climbers often start to learn a gym’s holds. While the gym may change specific routes, climbers have likely gotten familiar with approaching particular holds. If you’re going to be climbing on a rope, get familiar with some basic skills. 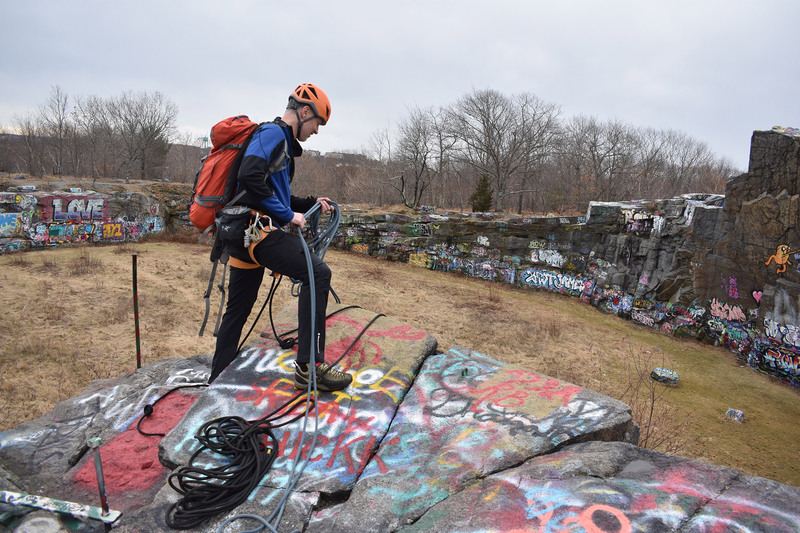 Even something that you’ve been doing in the gym, like belaying, can be complicated outside due to hazards like rocks, uneven ground, and roots. Furthermore, if a climber is heavier than the belayer, the use of a ground anchor might be necessary. Speaking of belays, if you had to execute a belay escape, could you? To prepare, spend a few minutes at the end of each gym session to practice these skills before going outside. Before heading to the crag, take a moment to hit the books, and brush up on the techniques and systems needed for outdoor climbing. A Falcon Guide: Toproping is one of many great books available to new outdoor climbers. For climbers interested in learning to advance their systems, in addition to their skills, to the next level, Mountaineering: The Freedom of the Hills covers everything from basic to advanced topics in all climbing genres. Close your top-rope system by tying a knot at the end of your rope. That way, you can’t lower the climber off the end. Always be mindful about where the cliff edge is, especially when you’re setting up a top-rope anchor. Anchoring yourself in while building your anchor is a great way to stay safe. Rocks break and nearby parties sometimes knock stuff off while they’re setting up. Wear your helmet even when you’re not the one climbing to protect your head. Boulderers should scout the descent and be comfortable with it before committing to the climb. For boulderers, falling is almost as important of a skill as climbing. Practice correctly falling—ideally, with slightly bent legs to absorb impact, and avoid leading with your hands to protect your shoulders, arms, wrists, and fingers—and spend some time identifying safe landing zones before you head up. 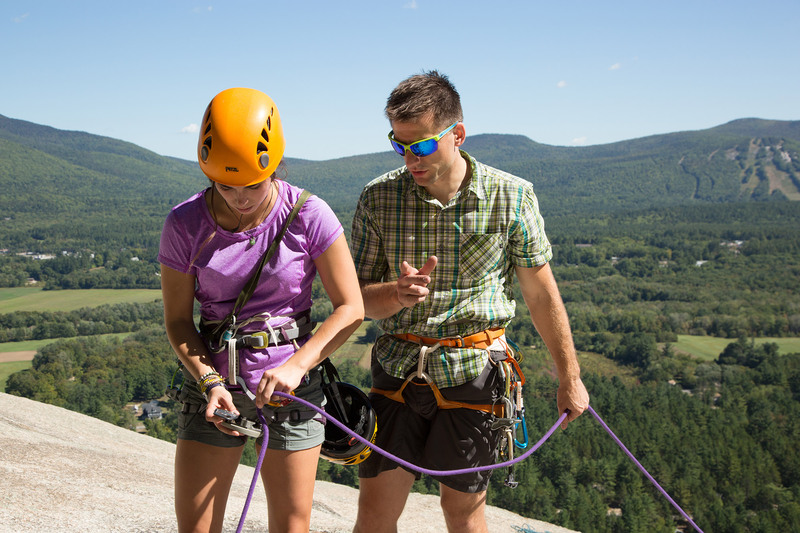 If you’re interested in getting outside but don’t feel confident doing it yourself, sign up for a lesson with the Eastern Mountain Sports Climbing School. In no time at all, the Climbing School’s AMGA-accredited guides will have you familiar with the fundamentals of building a top-rope anchor and mitigating outdoor climbing hazards. Can you think of any other gym-to-crag tips? Share them in the comments!